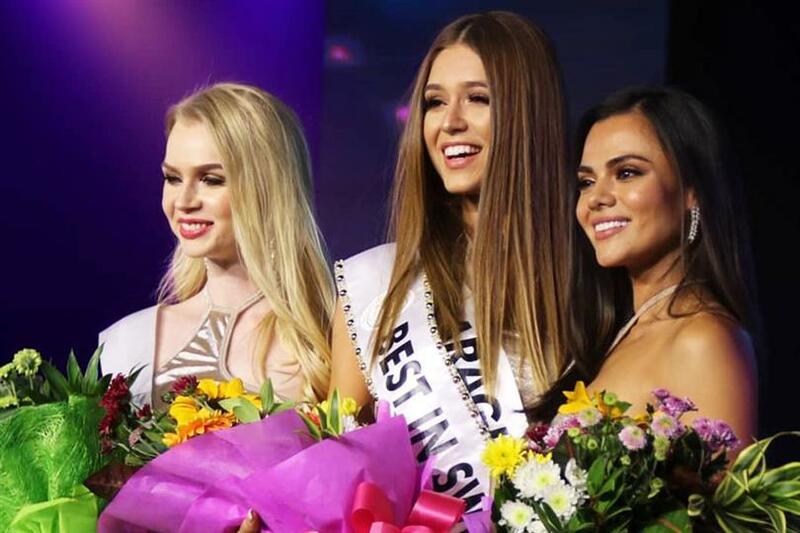 Miss Intercontinental 2018 is about to reach its conclusion as the preliminary competitions have already begun. Yesterday, the swimsuit competition was held at Okada Grand Ballroom where the gorgeous beauties competed in their swimsuits, looking absolutely gorgeous. The evening also witnessed the Philippine Designer Evening Gown competition where the local designers showcased their creations. At the conclusion of the event, Gabriela Soley of Paraguay was awarded the title of Best in Swimsuit. Karen Gallman of Philippines was awarded the title of Miss Body Beautiful and Chernoshej Karolina of Belarus won the Philippine Designer Evening Gown. With the incredible performance from all the beautiful ladies, Gabriela definitely stood out with her confident walk an impressive stance. The gorgeous beauty from Paraguay has been a front runner in the competition as she also bagged the Miss Playa Calatagan award at the Beach Wear Competition held recently. Karen Gallman also impressed everyone with her incredible performance. She has also proven her metal in the competition with winning the Media’s Favourite award at the Press Conference held at the start of the pageant. The Filipina beauty has proven everyone that she is one of the toughest contestants to look out for the crown. The preliminary competition also witnessed quite a few incredible performances from the other ladies yesterday evening. Even though not everyone got an award, these ladies proved that they are going to be strong competition for the other delegates at the finale. With two more preliminary competitions to go, the competition is heating up and all these ladies are giving their best efforts to stay first in the line.